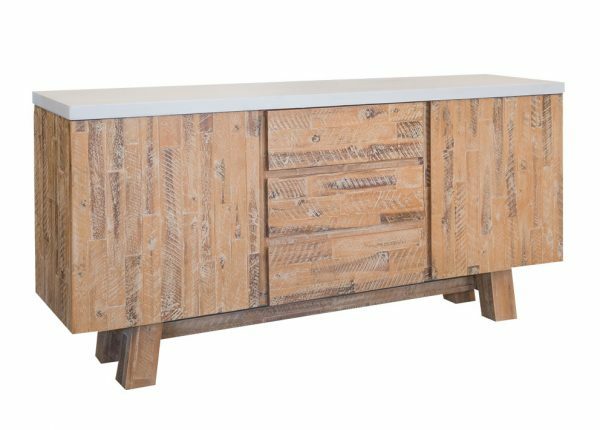 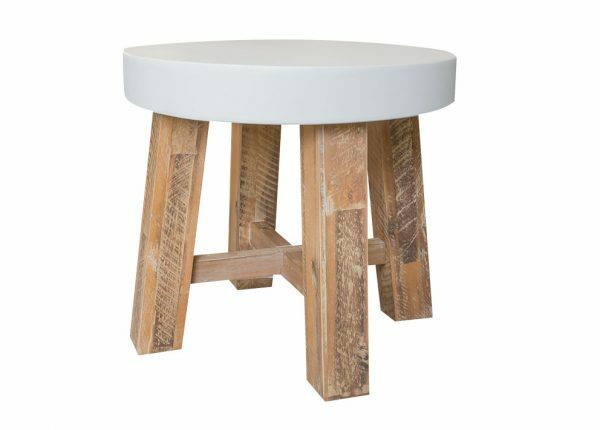 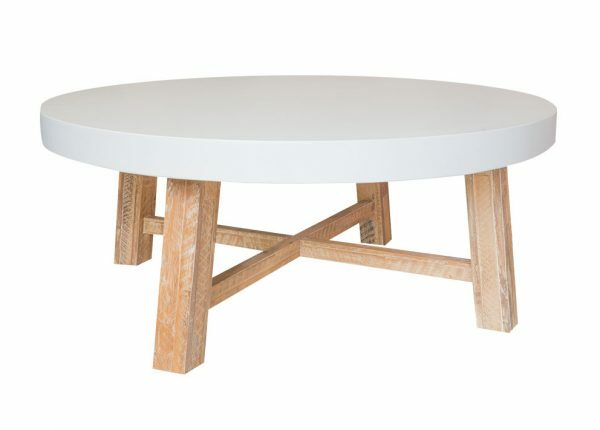 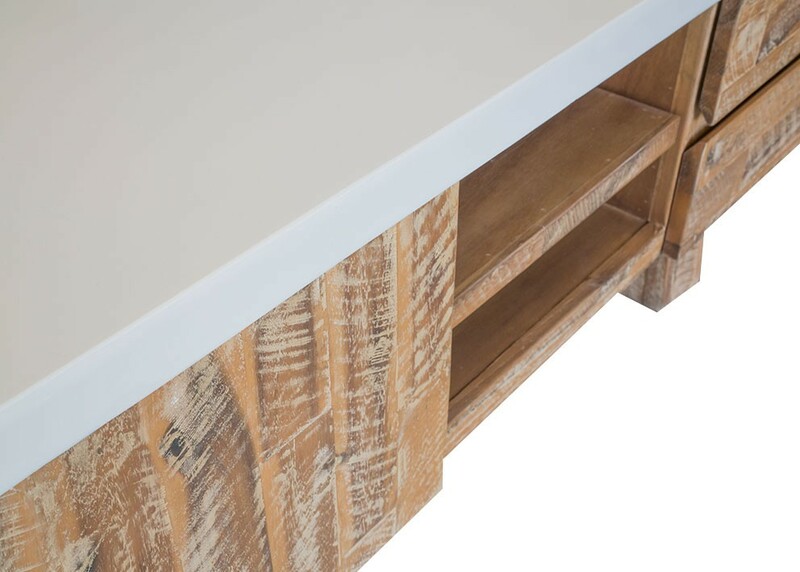 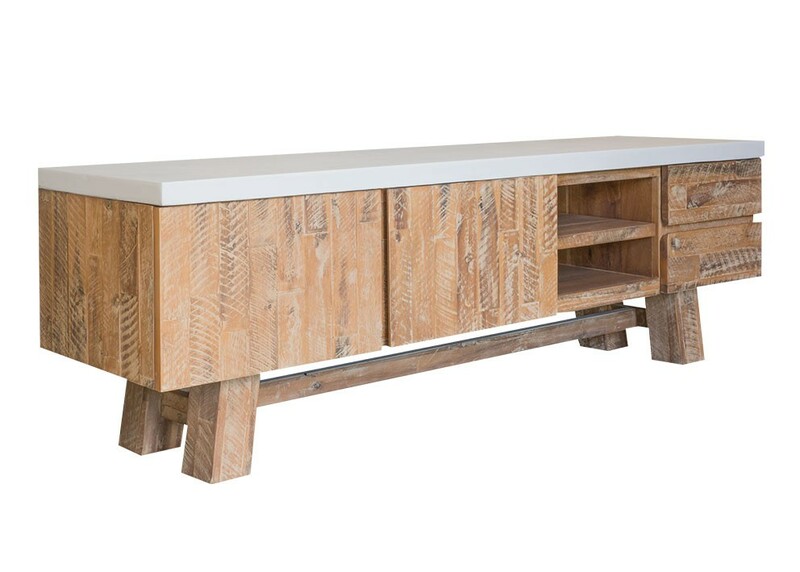 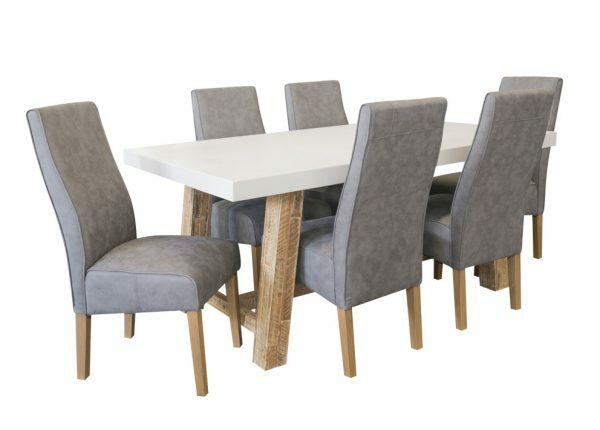 Industrial elegance with hard wearing white concrete-like top, perfectly matched with a solid acacia washed timber. 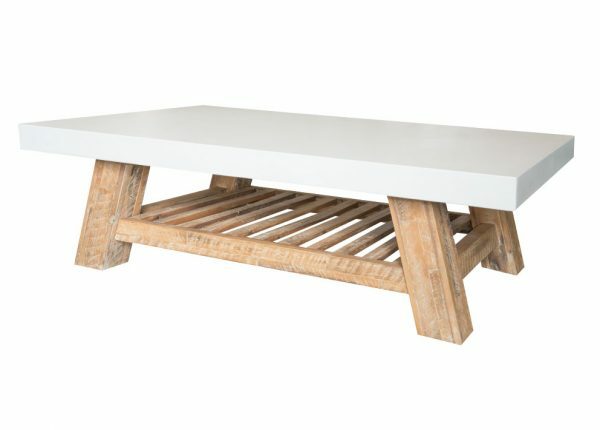 Product does require assembly and is heavy, so please read care instructions carefully. 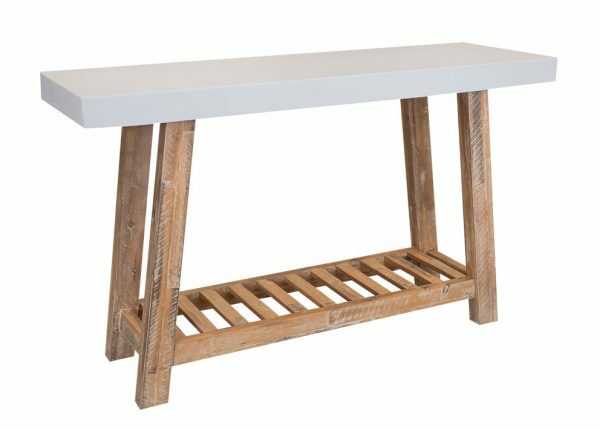 Cleaner and sealer must also be purchased to adhere to Corfu product warranty (see in-store or contact us for more information).